Creo Style is the interactive (updates in real time) surfacing module from PTC. 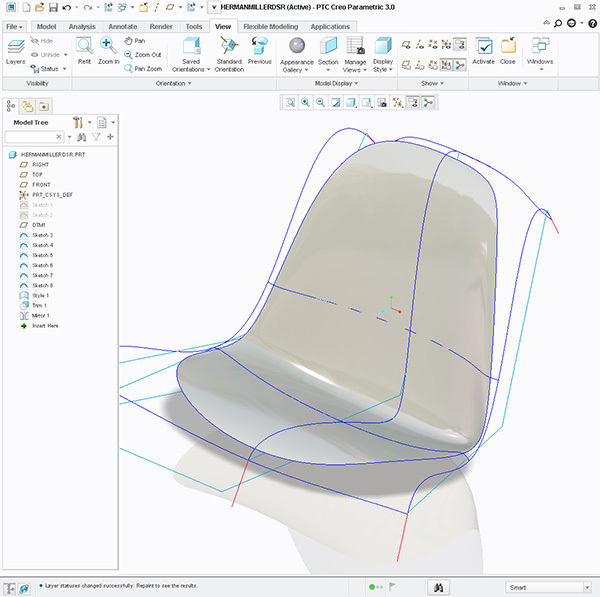 Creo Style is quite revolutionary in that it combines push and pull like efforts of Alias Studio or Rhino 3d and gives those functions to product designers and design engineers who create stylized or ergonomic products. This course can be customized for specific products and documented before the class is administered. CAD or Product managers should call to inquire about custom tutorial development and costs for onsite training. We also offer a subscription the Design-Engine Video Training Deliver System. Learn Creo Surfacing Class or the Week Long Style Intensive is required for this class. Participants have been interested in Advanced import to create Parametric Surfaces, A Class surfacing with Creo Style, Creo Freestyle & Aircraft surfacing. Overview of the Creo Style or ISDX Module. Boundary techniques utilized by high-end surface modelers in the auto industry. Overview of correct surfacing techniques drawing from standard surfacing tools such as Alias and Rhino. 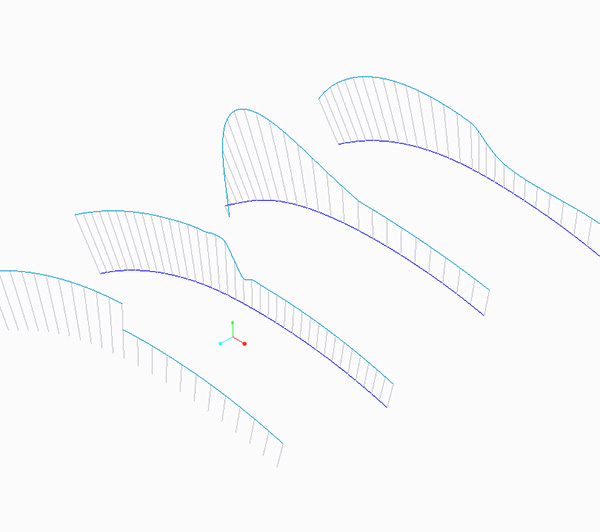 Discuss using Creo surfacing parametric controls combined with Creo Style strengths. Discuss with examples extra ordinary robust modeling techniques for proving form. Learn basics of Surface Edit and experiment with different surface edit techniques with various examples all while maintaining continuity. Hood scoop model (rebuild using Style from Level 1 Creo Surfacing Class). Harley rear Seat: Modify with several techniques. Water pitcher: Modify then recreate the water pitcher. Bike racing seat: Modify the seat to appear more comfortable. Bionic finger: Surface Edit within Style. Human face: Surface Edit within Style. Discuss with examples the new features of Creo 3.0. Discuss light reflections and relate that to Algebraic curves & Calculus. When to use Style & when to use parametric curves / surfaces. Wet Cardboard: a workflow for managing specific lead in to affect light reflections. Learn Surface Edit functions within various examples. Different modeling approaches with respect to Creo Style usage. Discuss what & why regenerate trips might be left out of Style preferences. Discuss when and when not to use Creo Style. proficient with surface modeling using Creo Style all in two days and is usually offered as the last few days of the surfacing week. We help you learn Creo not read to you from an exercise. In this course we help design engineers learn how to make changes quickly to set them up for becoming expert faster. As with all Design-Engine classes participants keep the training material login and password for life.